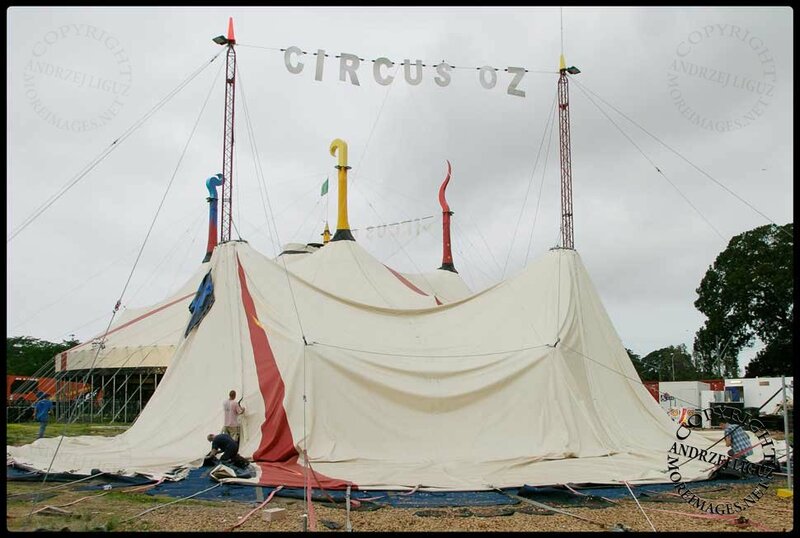 The Big Top, Moore Park, Sydney, Australia. 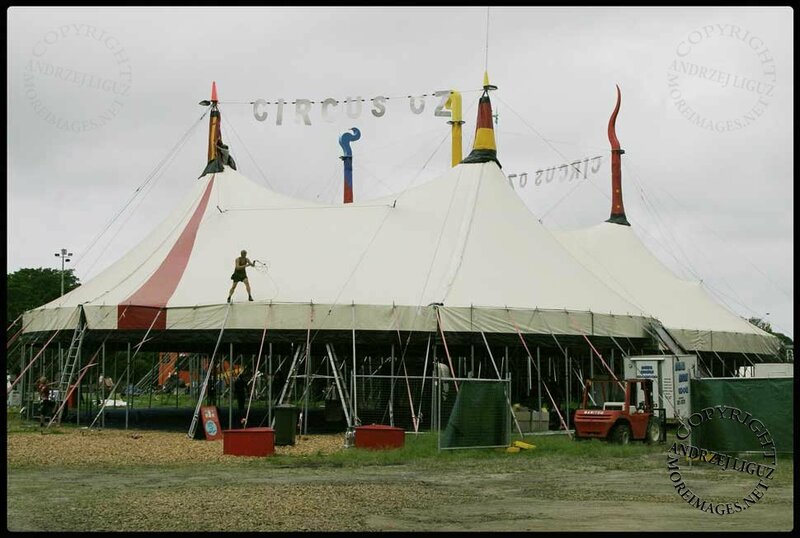 The Big Top, Moore Park, Sydney, Australia. 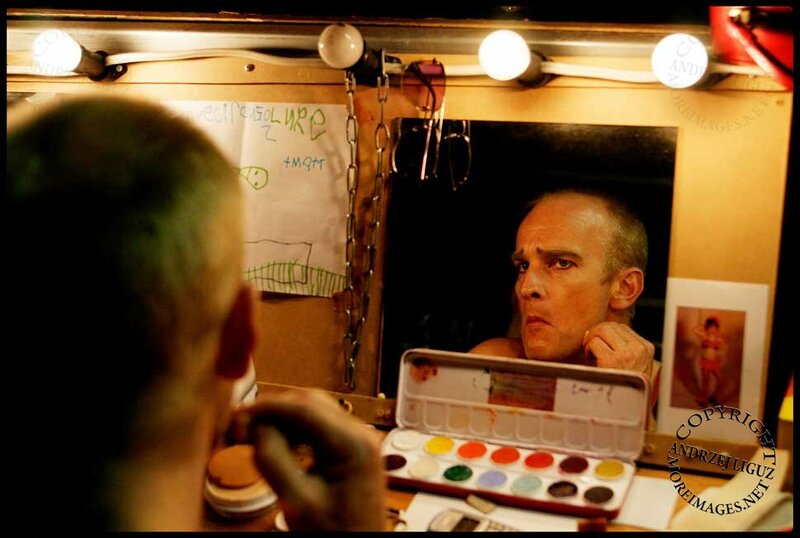 Circus Oz crew and performers meeting before the show. 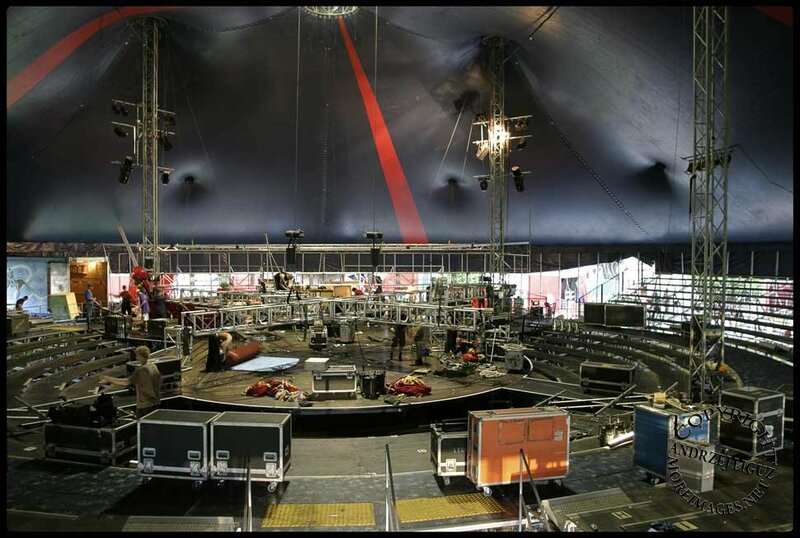 The Big Top, Moore Park, Sydney, Australia. 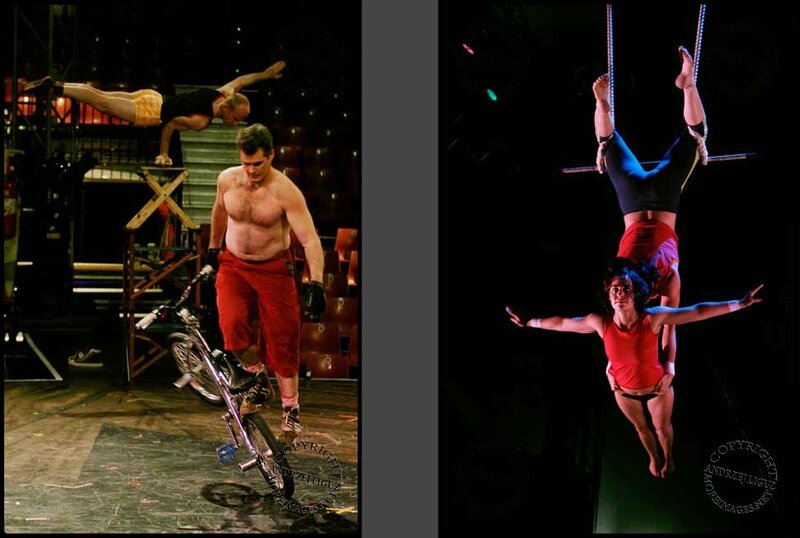 Scott Hone rehearsing on his bike / Anni Davey and Zanette Clements rehearsing on the trapeze. The Big Top, Moore Park, Sydney, Australia. 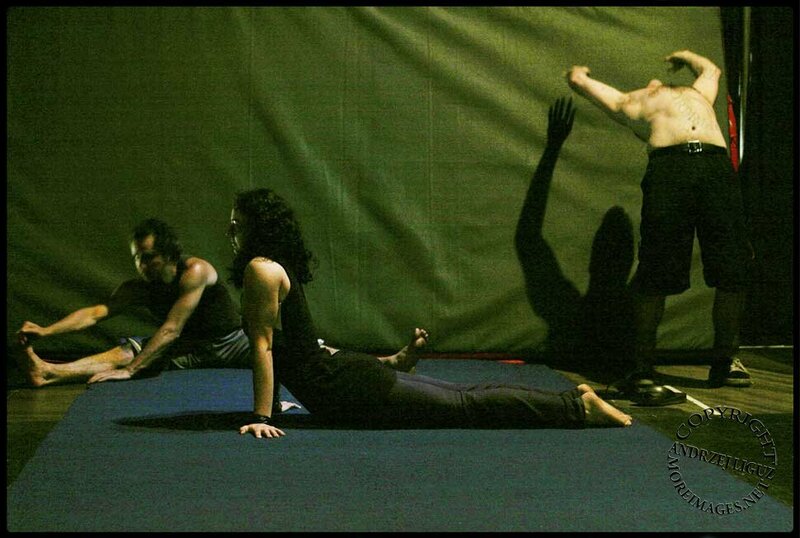 Performers stretching before the show. The Big Top, Moore Park, Sydney, Australia. 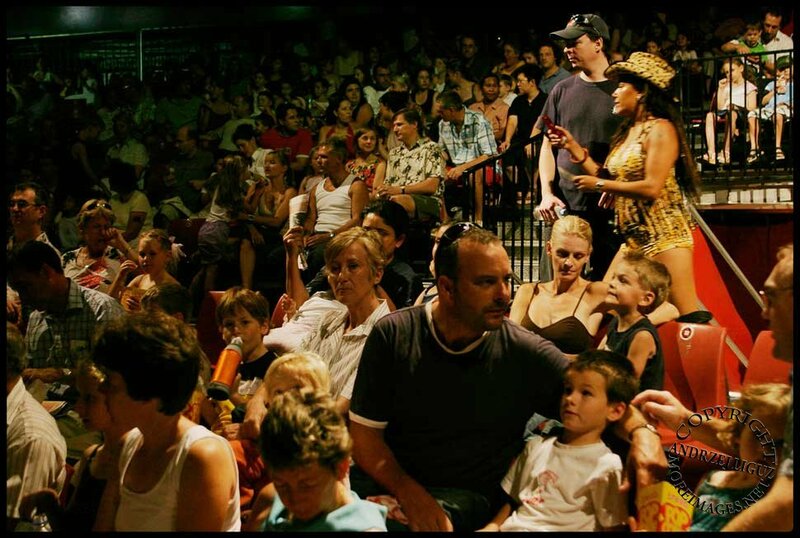 The audience getting ready for the show. The Big Top, Moore Park, Sydney, Australia. 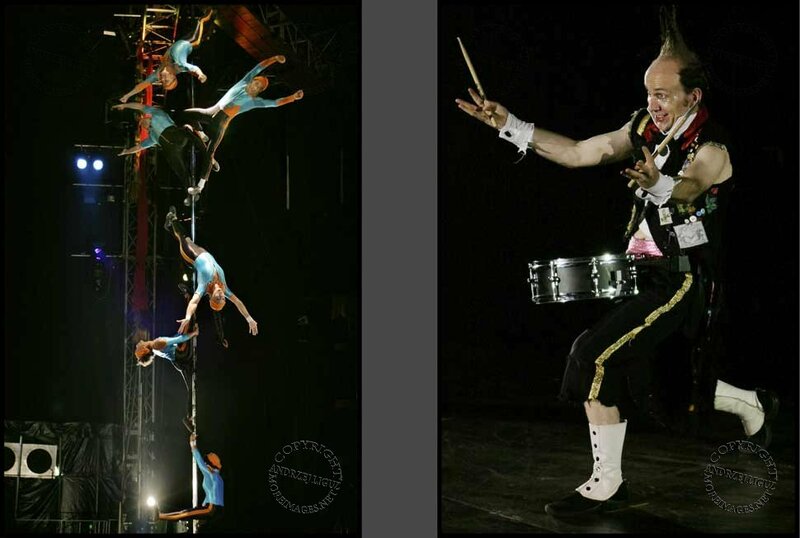 Memnbers of Circus Oz performing on a pole / Jim Dunlop drumming up a storm. The Big Top, Moore Park, Sydney, Australia. 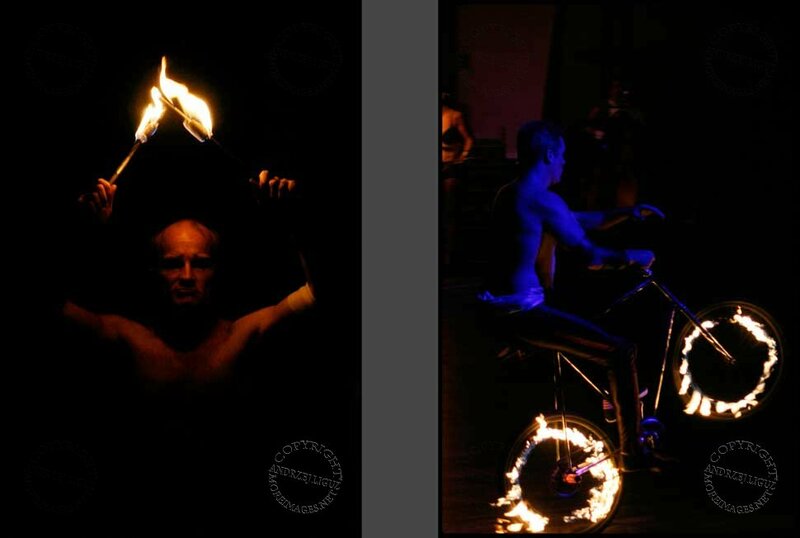 Mellissa Fyfe working her wheel. The Big Top, Moore Park, Sydney, Australia. Matt Wilson does a painful version of the splits. The Big Top, Moore Park, Sydney, Australia. 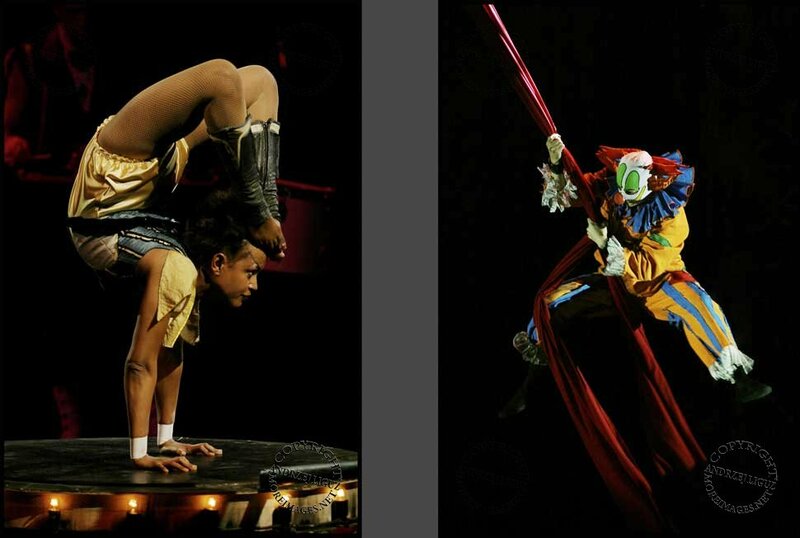 Sosina Wogayehu does her contortionist act / One of the clowns swings through the air. 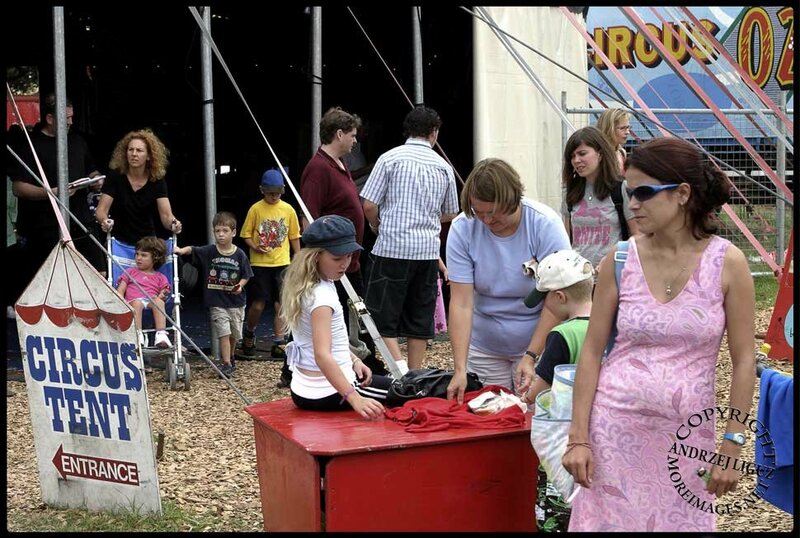 The Big Top, Moore Park, Sydney, Australia. 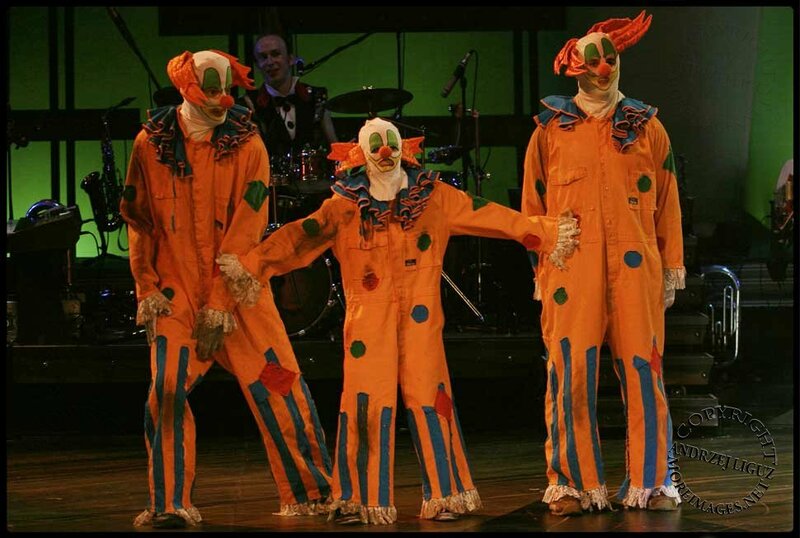 The Circus Oz clowns. The Big Top, Moore Park, Sydney, Australia. Matt Wilson fired out of the Humanitarian Cannon. 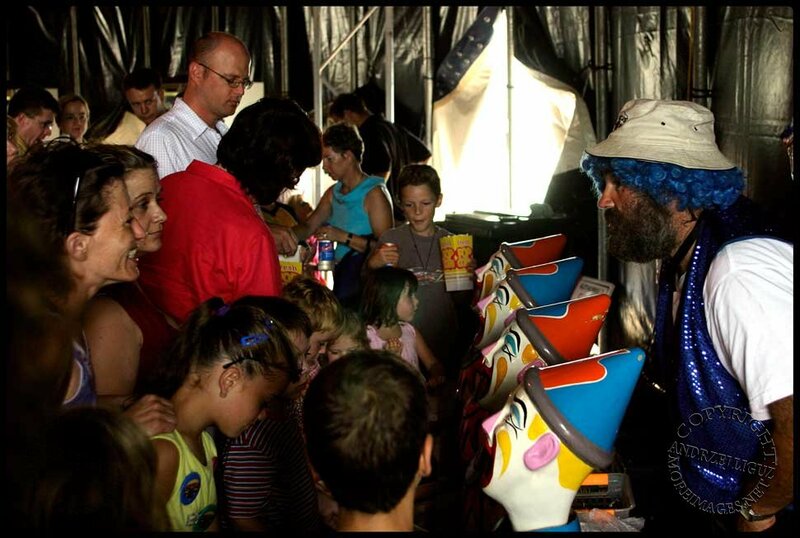 The Big Top, Moore Park, Sydney, Australia. 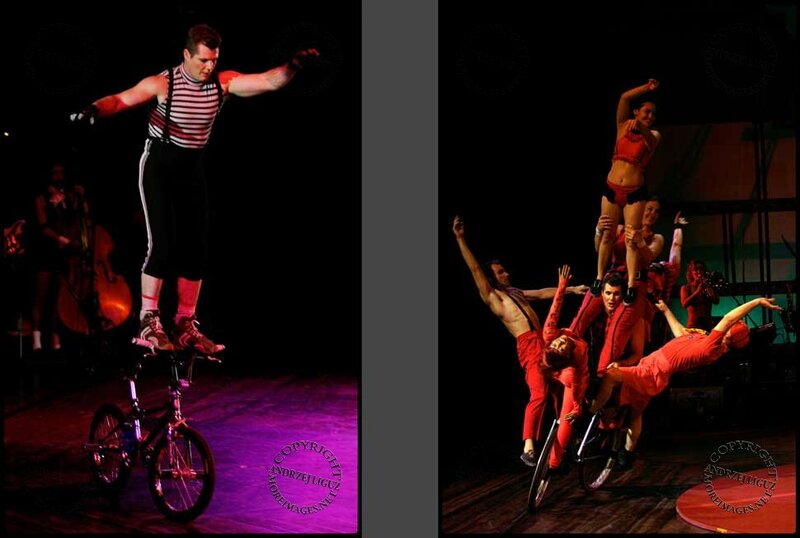 Scott Hone on his BMX bike / Scott Hone carrying other members of the troupe on his bike. The Big Top, Moore Park, Sydney, Australia. 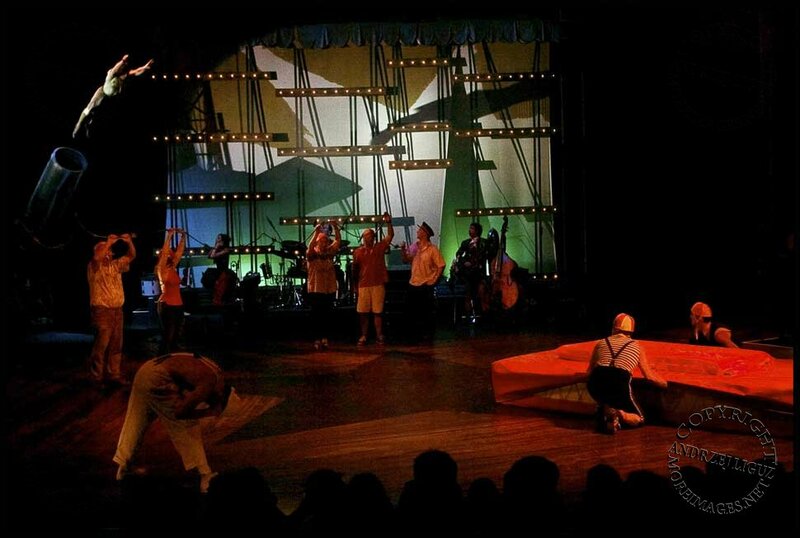 Circus Oz performers dressed as cockatoos on the Flying Trapeze. The Big Top, Moore Park, Sydney, Australia. Sosina Wogayehu & Joel Salom juggling. The Big Top, Moore Park, Sydney, Australia. 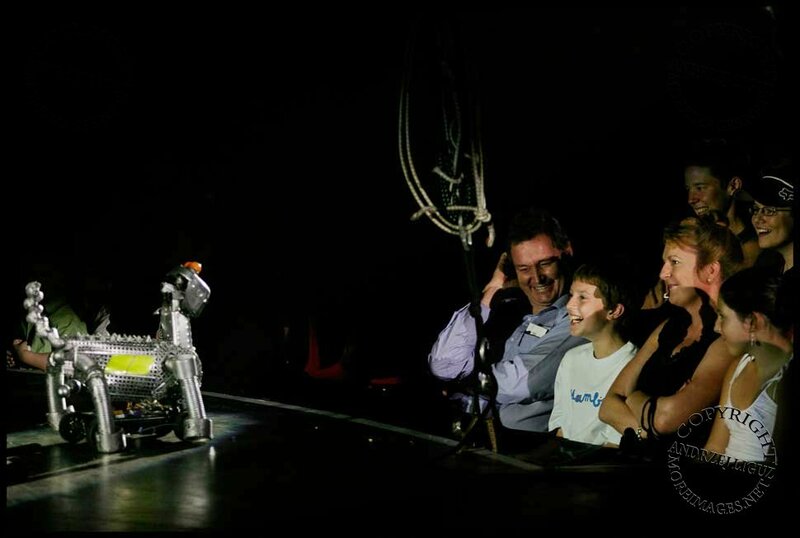 The remote controlled Erik The Dog performing to the crowd. The Big Top, Moore Park, Sydney, Australia. 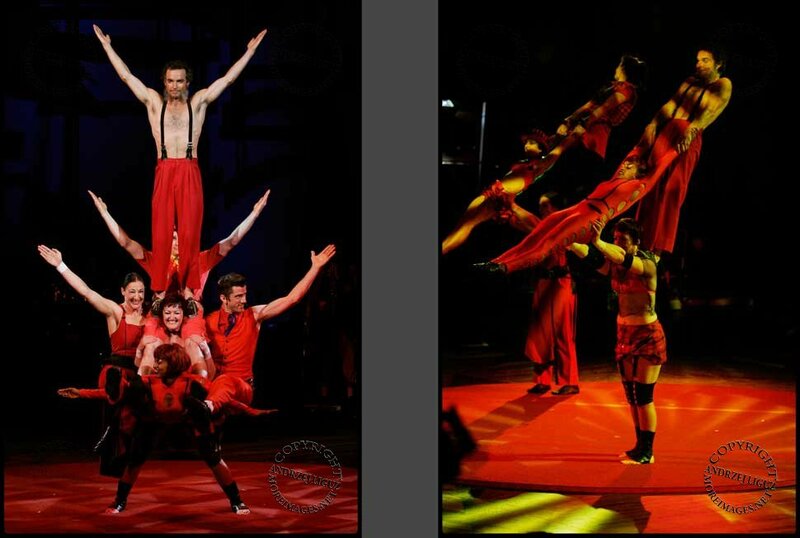 Mellissa Fyfe supports other members of the troupe / A balancing act. The Big Top, Moore Park, Sydney, Australia. Performer Joel Salom smashes the bricks on Mellissa Fyfes' stomach during the show. The Big Top, Moore Park, Sydney, Australia. 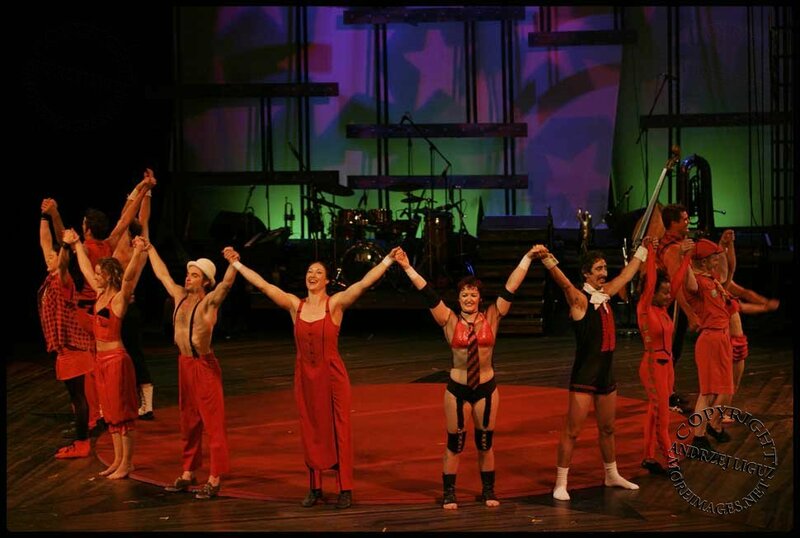 The Final Bow of the Moore Park season by the Circus Oz performers. The Big Top, Moore Park, Sydney, Australia. The audience leaving after the final show of the Moore Park season. The Big Top, Moore Park, Sydney, Australia. 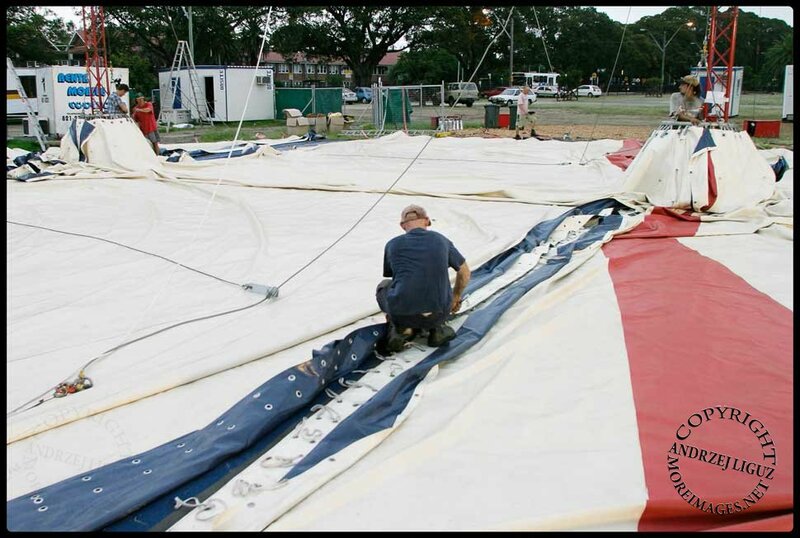 Packing down the Big Top at the end of the Moore Park Season. The Big Top, Moore Park, Sydney, Australia. 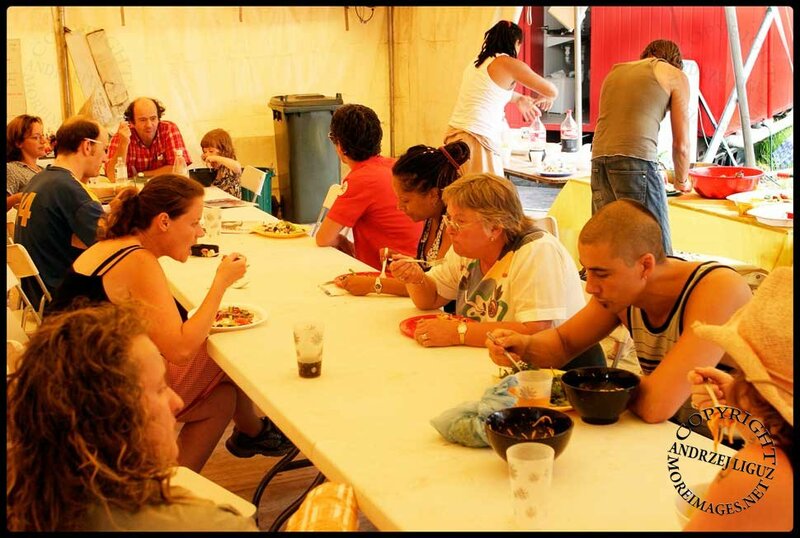 Performers eating after the show. The Big Top, Moore Park, Sydney, Australia. 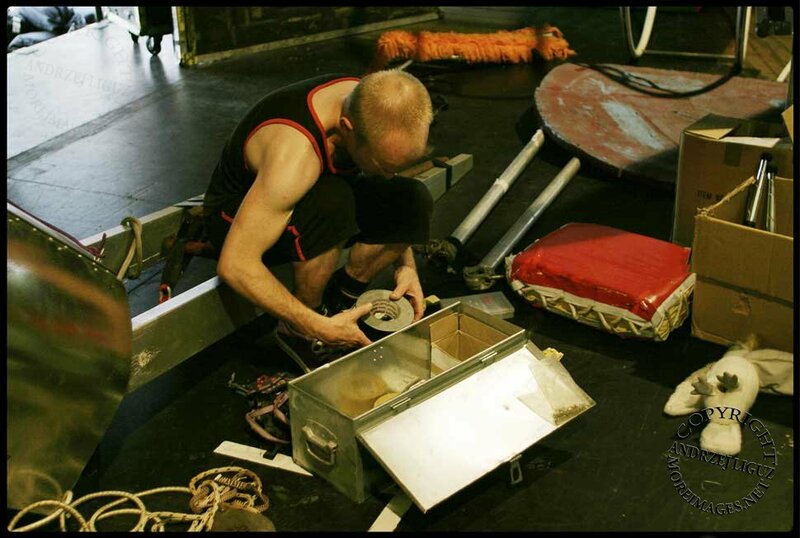 Packing away tools at the end of the Moore Park Season. The Big Top, Moore Park, Sydney, Australia. 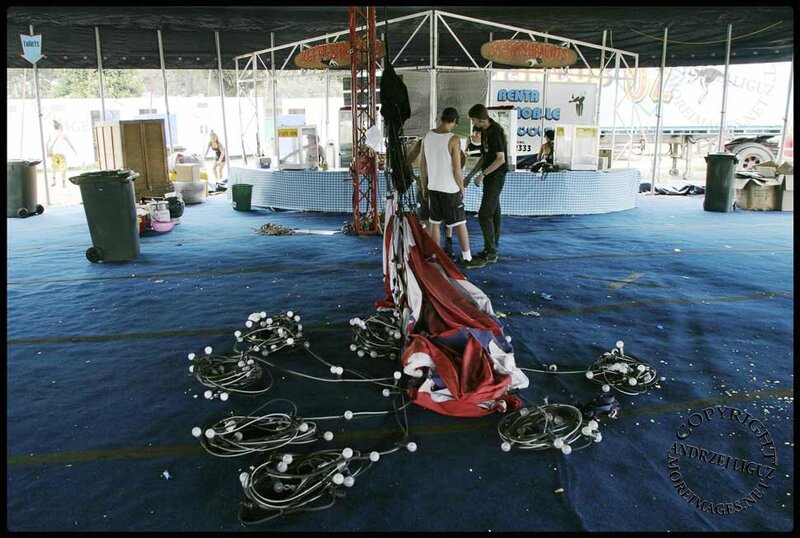 Packing away the props at the end of the Moore Park Season. 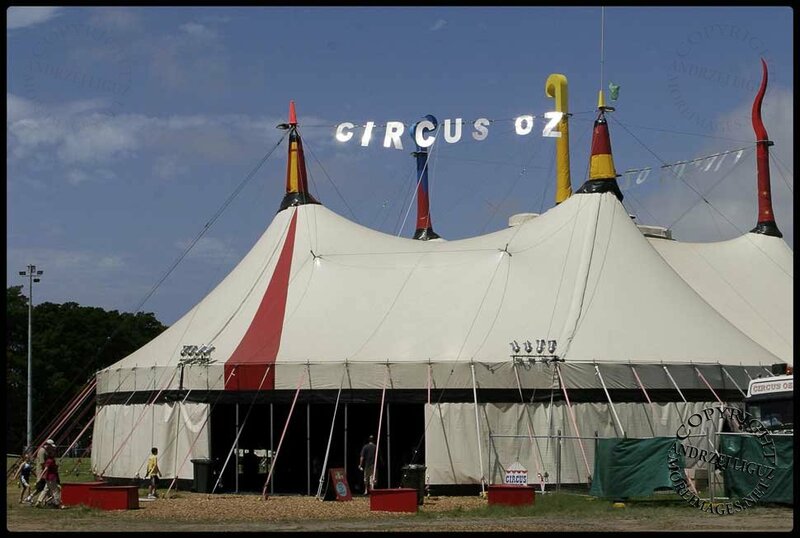 The Big Top, Moore Park, Sydney, Australia. 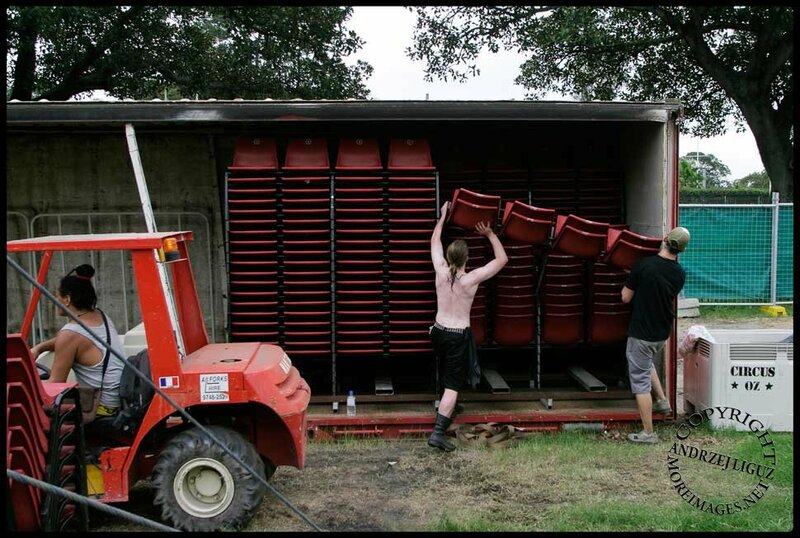 Packing away the chairs from the Big Top at the end of the Moore Park Season.